Federal Judge Delays Manafort Trial, Grants Immunity To 5 Witnesses Attorneys for Donald Trump's former campaign chairman asked for more time to prepare for Paul Manafort's first of two federal trials; a judge agreed to push back the start. 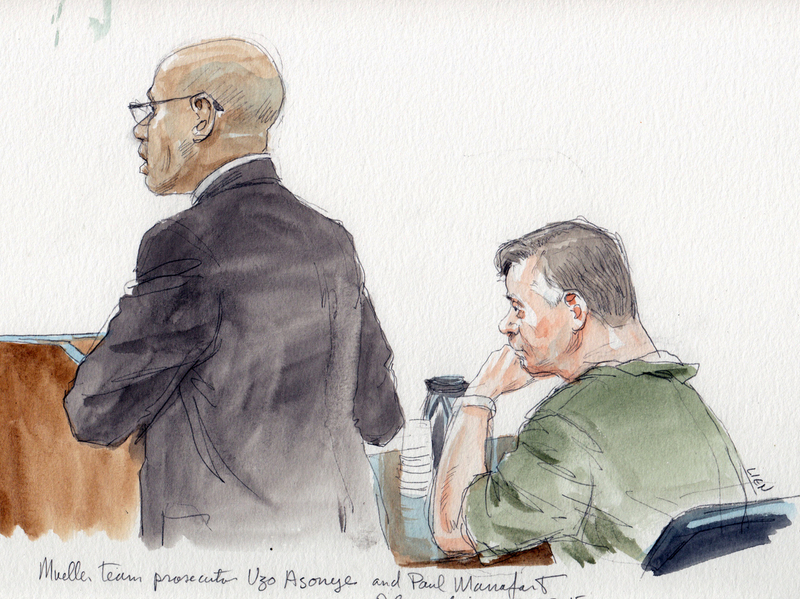 Mueller team prosecutor Uzo Asonye (left) argued against delaying the trial of Paul Manafort at pre-trial hearing Monday. Ellis also unsealed the names of five witnesses who have been granted partial immunity from prosecution in exchange for their testimony in Manafort's case. Documents in the case so far didn't give much suggestion as to what the witnesses might be called upon to tell the jury. Justice Department special counsel Robert Mueller has charged Manafort with alleged tax fraud and money laundering connected to the work he once did for clients in Ukraine. Manafort is also facing a separate federal prosecution in Washington; his trial there is set to take place later this year. Ellis also ordered the government on Monday to turn over its full list of approximately 30 witnesses by the end of the day. And when asked about amending the proposed written questionnaire for prospective jurors, he said: "I'm not moved." "We're not going to get into how people voted ... of course people can be fair no matter who they voted for," Ellis said. The judge said he intended to get a jury seated expeditiously and then keep the process moving once it had begun following the new start date. "I'm not going let this trial drag on," he said. "I'm not in the theater business."